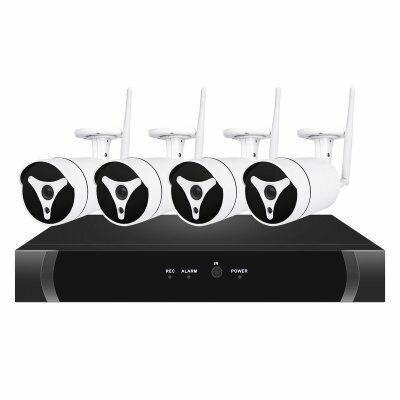 Successfully Added 4 Channel NVR Security Kit 6869 - 4 Wi-Fi 1080P IP Cameras, HD Resolutions,30meters Night Vision, Remote Monitoring, App to your Shopping Cart. IR CUT and 30Meter night visions let you monitor your property night and day. The WNK6898 NVR Kit is a complete surveillance security package for your home or business. With 4 1080P IP cameras suitable for use indoors or out as well as network video record to capture the footage and remote video playback via your phone, tablet or PC you'll get great peace of mind from this security package. Coming with everything you need for a complete security surveillance solution this channel NVR kit from is geta value for money. It comes with four 1080P wireless cameras. That is quick and easy to set up. With dual Wi-fi antennas, the NVR offers stable wireless connectivity over longer distances so you have the freedom to place the cameras where they are needed most without needing extensive cabling. The NVR supports HD video recording and can accommodate a 4TB SATA HDD (not included). Using the lossless H.264 video compression you can record hours of footage on this NVR Kit. There is mobile phone support so you can remotely view the video feeds from any corner of the globe. Including 4 HD wireless cameras with an IP66 rating means you can cover outdoor areas as well as those indoors as they are well protected from rain and bad weather. The HD resolution means you have reliable video footage that makes it easy to identify suspects and gather intel such as registration plates and other details. The cameras each have IR LEDs to offer round the clock monitoring. With motion detection and notifications this security setup will also notify you of any intruders. 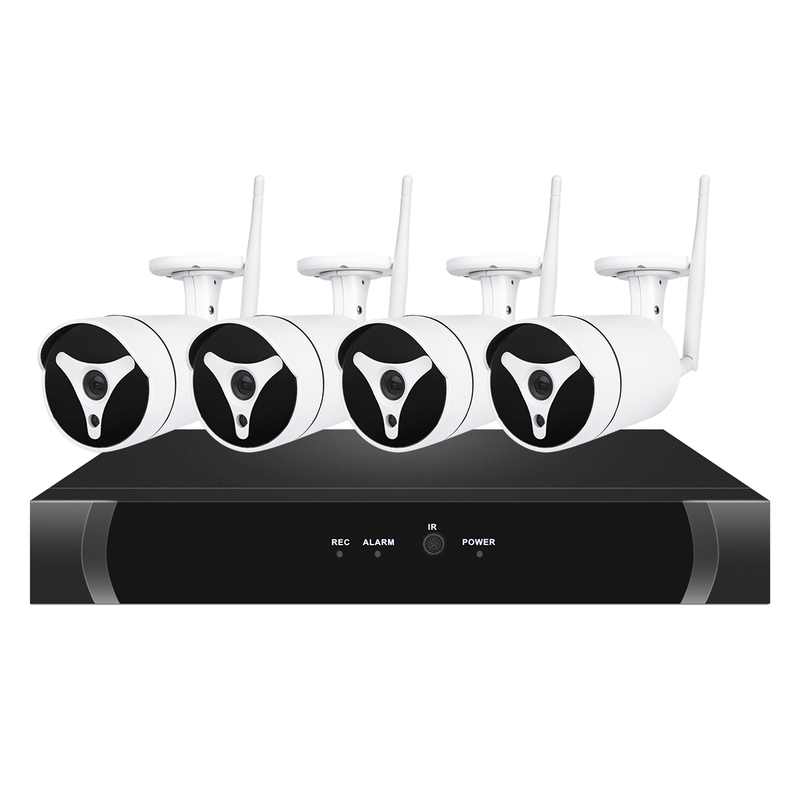 The 4 Channel NVR and IP Camera Set comes with a 12 months warranty, brought to you by the leader in electronic devices as well as wholesale surveillance kits and security gadgets..